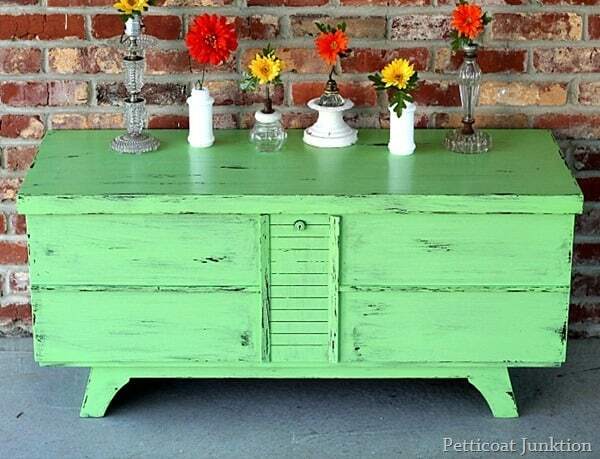 It’s Green Paint Day at Petticoat Junktion. 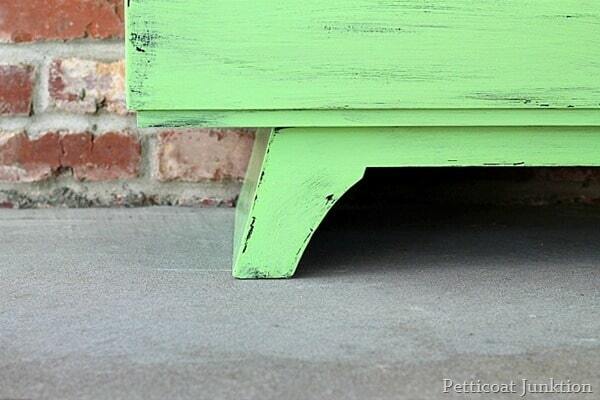 No, not the musical group….the furniture color of the day is green! 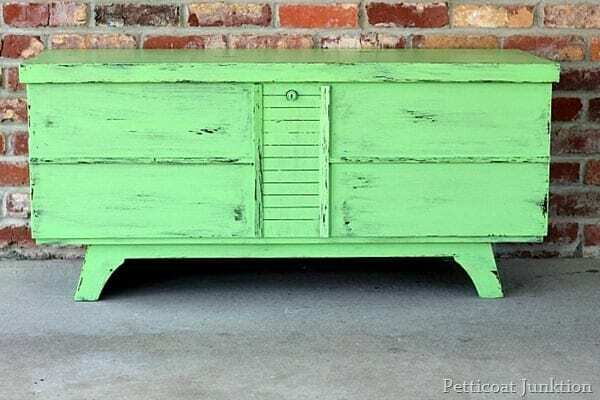 My son told me the other day that he knows green is my favorite color because all my projects are green. I pulled up my photo gallery to prove it to him and…uumm…I do a lot of green projects. He said 25%… and that could be on the money. I love green but I also love orange, yellow, red….I could go on. 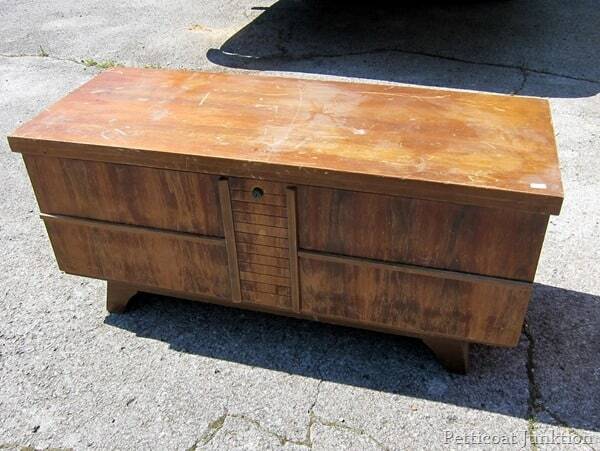 I got the cedar chest at My Favorite Junk Shop. I know that’s a surprise! There’s black paint underneath the green. I’ll share the secret to the paint finish tomorrow. 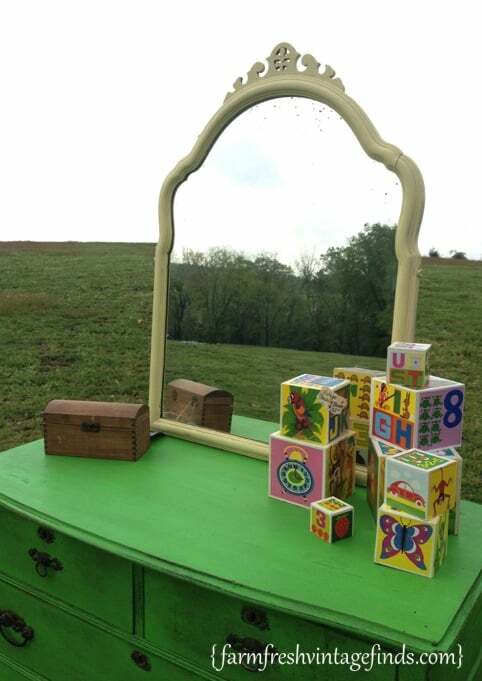 If you like green I bet you will love this piece! Click here…….Green Sideboard Makes A Splash. 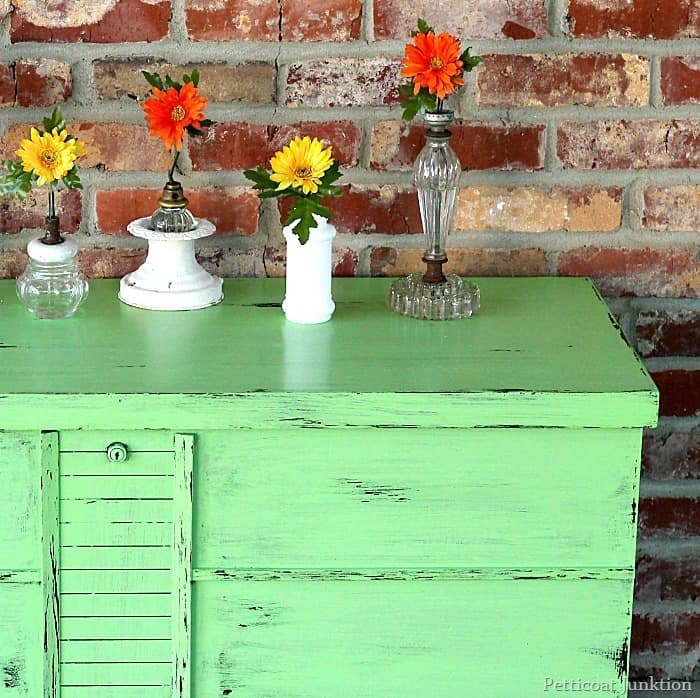 My friend Beth of Farm Fresh Vintage Finds has a gorgeous green furniture project too…. ….see, told you!! 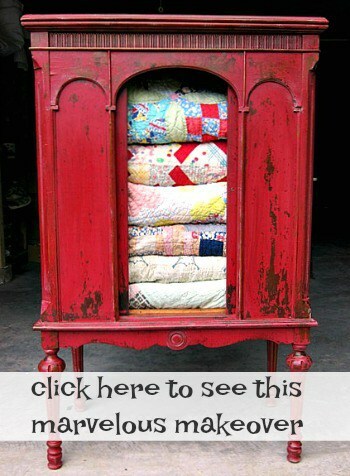 Click the photo or this pink link toFarm Fresh Vintage Finds to view the entire makeover. Be sure and leave Beth a comment telling her I sent you over….please. Very pretty! I love the color. I wish I had the nerve to go bold with some of my furniture. I see so many beautiful colorful pieces. But I seem to stick with Browns and neutral. I love the colour! 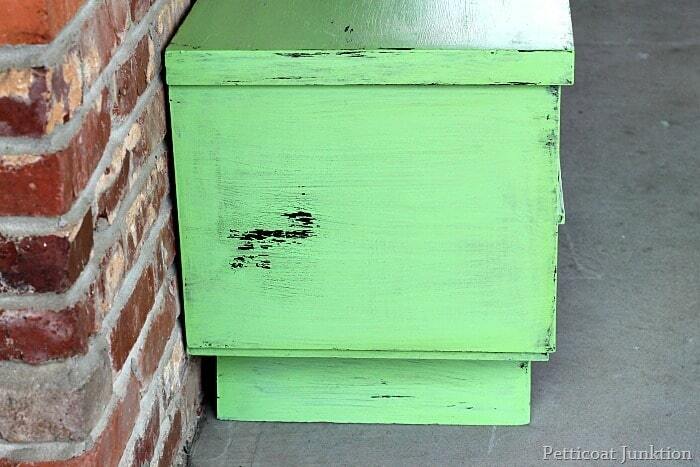 Green is a favourite colour of mine and that shade is so happy and fresh. Love what you did with this piece. Yes! I like this one…I wondered what the inside looked like…I can imagine one of my daughters using it…is the inside good to store things in? What would you do if it wasn’t? I like it alot. I had a thought, what if you added some silver or gold to your paint and made it just a wee bit sparkly? 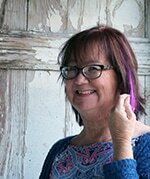 I can’t find that blog–I loved the way you used the metallic paint.